Markets continue to grapple with changes in US policy and in Europe fixed income markets displayed caution as bond investors focused on the upcoming elections in the Netherlands, writes Ian Slattery. Stocks rallied as tax policy reform proposals from the new US administration came into focus, as President Trump stated on Thursday that he would announce a plan in the coming weeks to address the need for 'fundamental comprehensive tax reform' in the US. US administration policy was a key focus throughout the week, as hopes rose that Trump's 'border adjustment tax' would run into opposition in the Senate. Markets continue to grapple with the confluence of US policy and the S&P 500 hasn't closed up or down by more than 1% in a single session since December 7th. 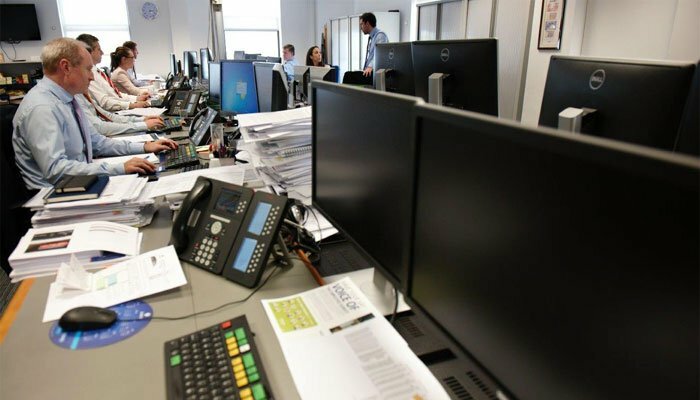 Fixed income markets displayed caution in Europe, as bond investors focused on the upcoming elections in the Netherlands, with Marine Le Pen also garnering further attention in France. The US 10-year bond yield saw a volatile week, falling to 2.33% before finishing at 2.47%, from 2.40% a week ago. The yield on the equivalent German Bund also rose, closing the week at 0.42%, from 0.34%. The euro was up once again against the dollar over the week, with the EUR/USD rate closing at 1.07. The global index rose strongly in euro terms during the course of the week, returning 2.1%. Commodities were also broadly positive, as gold, silver and copper all moved higher. Oil grinded slightly higher and closed the week just short of $54/barrel. The US 10-year bond rose during the week, with yields (which move inversely to price) moving from 2.46% to 2.41%. The yield on the equivalent German Bund closed was lower, on the aforementioned political risk concerns, and moved from 0.41% to 0.32%. The euro weakened versus the US Dollar, moving from 1.08 to 1.06 over the period, enhancing returns for Irish investors with holdings in the US. The euro/GBP rate closed the week at 0.85. Tuesday 14th February: In Europe, the consensus estimate is for Q4 GDP growth to be confirmed 0.5% (quarter-on-quarter) and 1.8% (year-on-year). Tuesday 14th February: In the UK inflation data for January will be published where the consensus forecasts a year-on-year rise of 1.9%. Wednesday 15th February US CPI data is also released this week, where the month-on-month figure is expected to come in at 0.3%, similar to the last reading, with the year-on-year figure expected at 1.8%, from 2.1% previously.